I wasted an entire day trying to figure out why I couldn’t call a web service that takes parameters. The problem turned out to be very simple to fix, but not at all obvious. I found some documentation on MSDN: Defining Report Datasets for XML Data, and also Reporting Services: Using XML and Web Service Data Sources. Both of these use examples that use the Reporting Services web services. 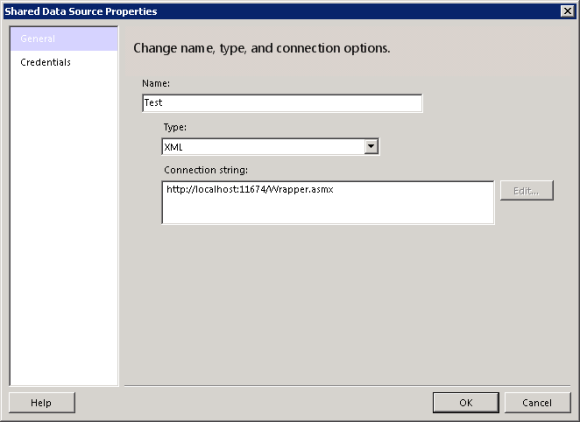 But I couldn’t get it to work with my web service that I created with Visual Studio 2008. This will give you a data source that knows how to connect to the web service. Next you need to add a data set that calls a single web method, and this is where things went wrong. I’ve highlighted in bold and red the two changes I had to make over what I found in the documentation. By default, a new web services uses the namespace “http://tempuri.org/” that includes a trailing slash. So you have to add this in the Namespace attribute of the Method element. But when you do this, you get an extra slash in the default action: http://tempuri.org//GetData. To get around that, you have to explicitly provide the soap action using the SoapAction attribute. Once you have this defined, you can click on the ! button to call your web method. The * in ElementPath tells Reporting Services to look for the element it finds that repeats to define the rows, and the next-level children as the column values. Now about the parameters. 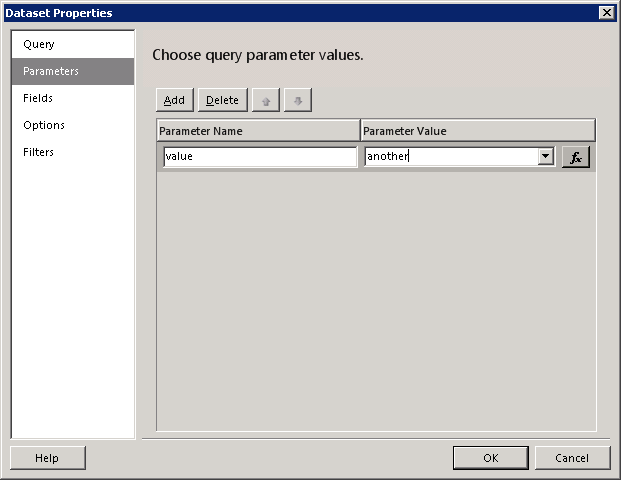 You define the set of parameters using Parameter elements inside a Parameters element, as shown above. The DefaultValue element provides the value to use when it’s not provided. This will be the value that RS uses when you click the ! button to run the “query” in the Query Designer window. The report will now use this value, instead of the default value specified in the “query” XML, when you run the report.